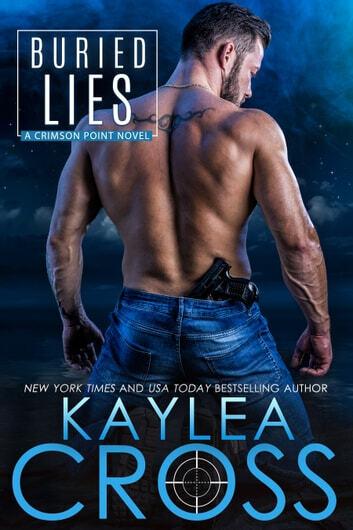 The Crimson Point series is not to be missed. Rich honest "real" characters and storylines with depth kept me engaged right to the end. Holding my breathe until the next one! I really enjoyed Buried Lies and it was a great follow up to the previous one in the series. Poppy has finally opened her bookstore/bakery and she's determined to make a new home in Crimson Point. As a teenager, Poppy was horribly bullied by other kids at school and lies and rumors trashed her reputation around her judgmental small town. Poppy will do anything to make sure no one knows about her hard past. I loved Poppy as our heroine; she's incredibly hard working and dedicated but also really sweet. She's had to grow up fast and her experiences have her reluctant to trust other people, especially men. Poppy has a quiet and gentle nature that comes across really nicely but she's also so resilient and strong and I loved that contrast of strength and shyness. Looking out for others is deep in Noah's blood and bones and it's why he's a Sheriff. He's the perfect protective and loyal hero who recognizes Poppy's needs and goes at her pace. Noah's tough and masculine but I also loved that he has a softer side that just wants to make Poppy happy. I also truly appreciate that Kaylea Cross wrote a hero who isn't obsess with the fact that his ex-wife cheated on him This was so refreshing in the genre because it showed Noah's maturity and his confidence that he can move on and still find happiness. Noah and Poppy take things slowly in their relationship but I liked this slow burn because it felt very natural for the story and them as individuals. While they might go slowly they have plenty of chemistry and I loved them together. We also get to see some more developments in our side characters, Molly and Jase, setting up their story which I have a feeling will be pretty emotional. Outside the romance, there was a great suspenseful mystery regarding a serial killer that has been hunting in the nearby areas and has now targeted Poppy. I found it very interesting that a large part of the story occurs after Poppy's run-in with our bad guy and I liked how Cross explored the mental and emotional toll of that experience. I'm very curious to see how this series continues. Really great story, romance, suspense, and a super HEA...this second book in the series was a real page turner, did NOT want to put it down, in fact, I didn''t ! !can't wait to read the next book in this series, awesome author ! !